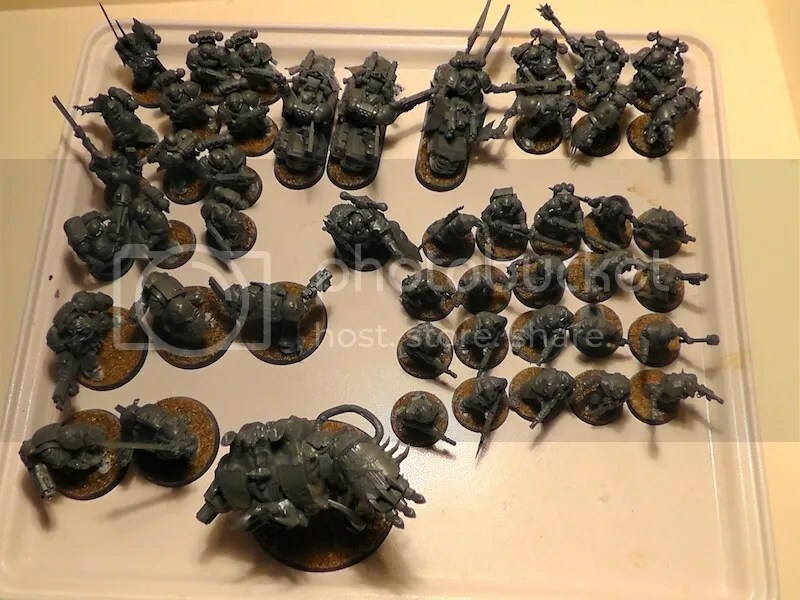 Posted by Jason Bergunder in Army building, Chaos Space Marines, Dark Angels, Painting. A touching tale of wargaming. 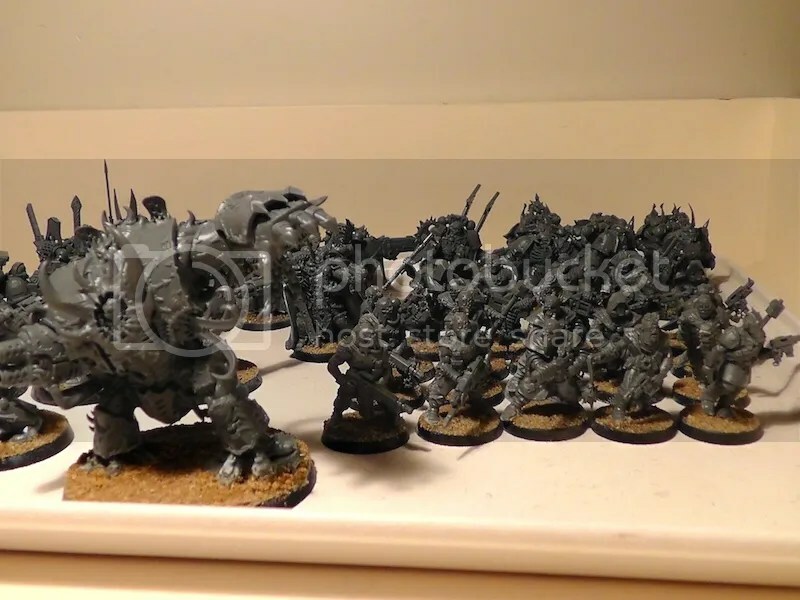 Posted by Jason Bergunder in Army building, Chaos Space Marines, Painting. I am happy to report that the Chosen Chaos Marines and the Chaos Lord are complete. These models are almost a complete opposite to their Dark Angels counterparts. 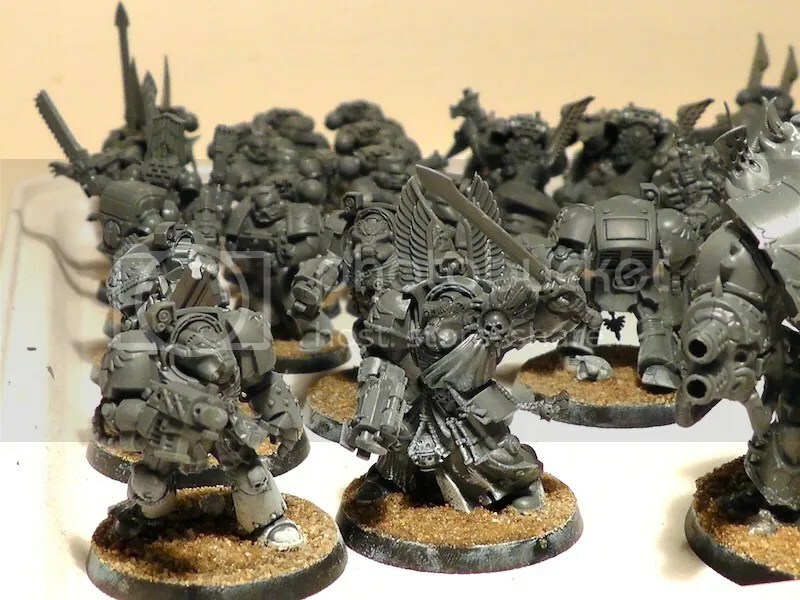 Where the Imperials have a much cleaner and orderly look to them, Chaos Marines are much grungier and have awesome little details about them that individualize them. With this unit of Cultists, the Dark Vengeance commission is now half complete! They are not painted to the standard of the Dark Angels, but I think they still look great. Posted by Jason Bergunder in Army building, Dark Angels, Painting. 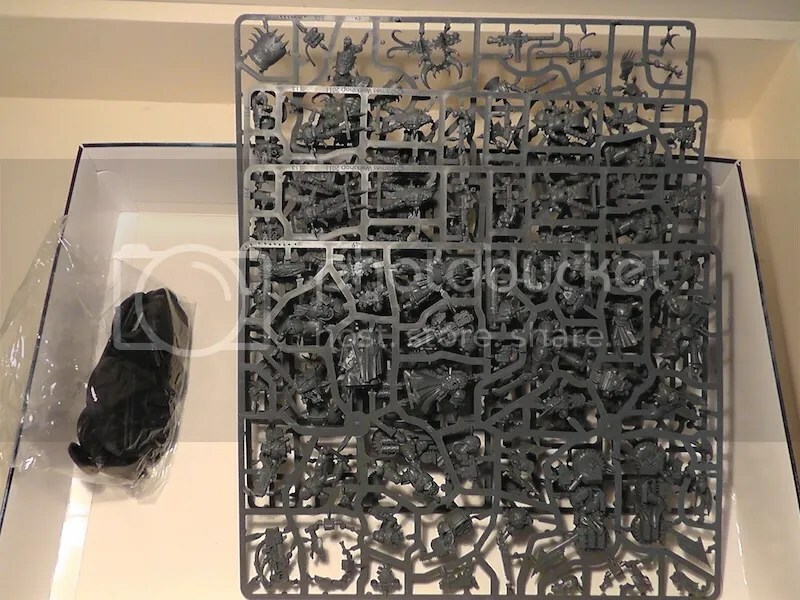 Posted by Jason Bergunder in Army building, Chaos Space Marines, Dark Angels. Just got in the models, time to start. I have been asked to do both armies from the Dark Vengeance starter set, in standard colours. Let’s get crackin’!